In a powerful new vision Dr Brené Brown challenges everything we think we know about vulnerability, and dispels the widely accepted myth that it's a weakness. She argues that, in truth, vulnerability is strength and when we shut ourselves off from vulnerability - from revealing our true selves - we distance ourselves from the experiences that bring purpose and meaning to our lives. Brene Brown speaks to the heart of who we are and she does it with science. Countless times through out this book I was in tears, because I recognised in myself the shame that she described as a common and major controller in my life. As I read, I also learned to recognise the situations that had caused that shame, and to recognise shaming in the present, you'd be surprised how much of it there is around once you have this new lense to see with. I would encourage everybody to read this, I doubt there is a person in the world who could not benefit from it. 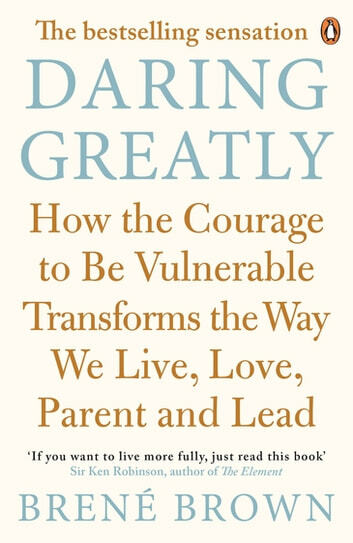 As an avid reader, I have never finished a book to immediately start again, taking notes, reflecting and more than 100 highlights, that is until Daring Greatly. I will be reading it many more times. This is the first time I have ever been moved to write a review. 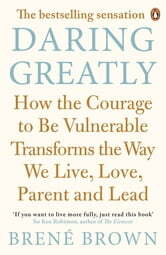 Daring Greatly has unbelievably deepened my capacity for living wholeheartedly. I was already on this journey but to now have such a comprehensive guide book to refer to is really exciting. Reminding myself I am enough when I fall into shame behaviours, such as perfectionism and judgement, is giving me such contentment. I have new confidence to be authentic and my connection with friends and family is moving to a new level. Thank you with my whole heart Brene Brown, for having the courage to do your research and then share it unresevedly. Thank you also to the people brave enough to honestly share their stories for this great work! Empowering, badly needed message in today's world.